Cooking for the family is one of the most exciting thing in life and involves various skills from planning, grocery shopping to preparing the meal. Sometimes I like to serve a huge meal (mostly on holidays) but during our everyday life I also want to give our loved ones delicious dinners, want to cook something special but spending less time and money. 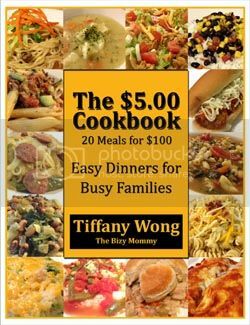 When I was offered to review The $5.00 Cookbook: 20 Meals for $100, Easy Dinners for Busy Families by Tiffany Wong, I decided to give it a try, realizing that the experience of Mom of six kids is invaluable in the areas of cooking and savings and definitely will benefit all of us. When I received a copy of Tiffany’s e-book first thing I liked was the high-quality photos. The instructions are easy to follow and the major part most ingredients can be bought in any North American grocery store. Plus consider that some products you already have in your pantry like pasta or rice (I buy lots of pasta on sale and one bag of rice enough for longer time), or spices like onion powder and garlic powder. 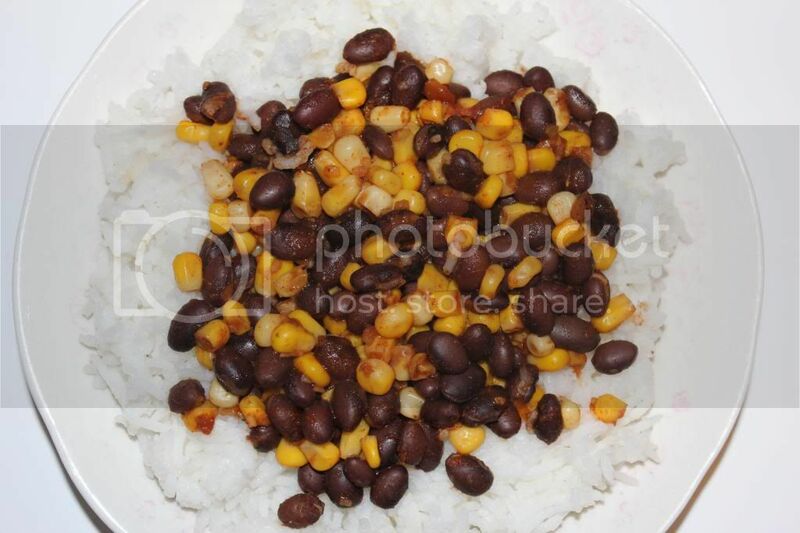 Each recipe can be prepared in around 30 min time, I spent even less when I cooked for dinner Southwest Beans & Rice. The only thing I changed in recipe is rice cooking, for this one I used my rice cooker instead of microwave (only because I used to it). My guys liked it so much, it was tasty, fast and easy to prepare. 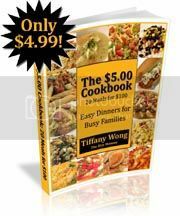 The Bizy Mommy is offering one lucky Teddy Out-Ready reader their own copy of her amazing e-book The $5 Cookbook: Easy Dinners for Busy Families. For your chance please enter using the Rafflecopter form below and Good Luck! Thank you so much for reviewing my cookbook! 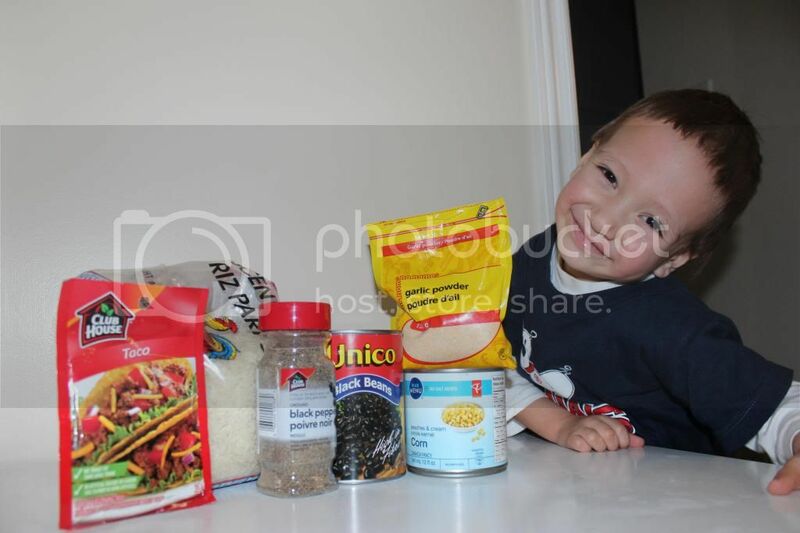 We love the southwest beans and rice. It's so simple, but still really delicious! I'm glad your family enjoyed it as much as we do! I really like that she addresses how here cookbook is different from other cheap meal cookbooks. That she's not going to give you the standard eat sandwiches recipes in her book. "The $5.00 Cookbook was written as a stepping stone for people that don’t feel like they have what it takes to cook at home." Thanks for linking up to my Tuesday Facebook Giveaway Wall. I learned that has over 45 meal recipes to get you started. I learned that every recipe in The $5.00 Cookbook feeds at least 4 people.